The Coconut Grove Playhouse was built in the Mediterranean Revival style. The goal, Spring said, is to revive quality regional theater in the Grove. Local theater company Gables Stage would operate the playhouse while providing FIU students hands on experience in the industry. "We've insured amazing educational opportunities through this innovative partnership,” said Spring. “I want to point out that we've taken a good hard look at this model... and (it) is a celebrated one across the United States." Miami-Dade has $20 million in capital funds allocated to see the project through. The state took back ownership of the property last year from a nonprofit board that was tasked with running the playhouse. Critics say the board financially mismanaged the 86-year-old theater. The county and FIU still have to settle hundreds of thousands of dollars of debt against the playhouse for their revitalization project to move forward. 03/06/13 - Thursday's Topical Currents begins with news about ModWeekend 2013. It highlights unique South Florida architecture with many events, including double-decker bus and tours, films and parties. ModWeekend begins a week from tomorrow. 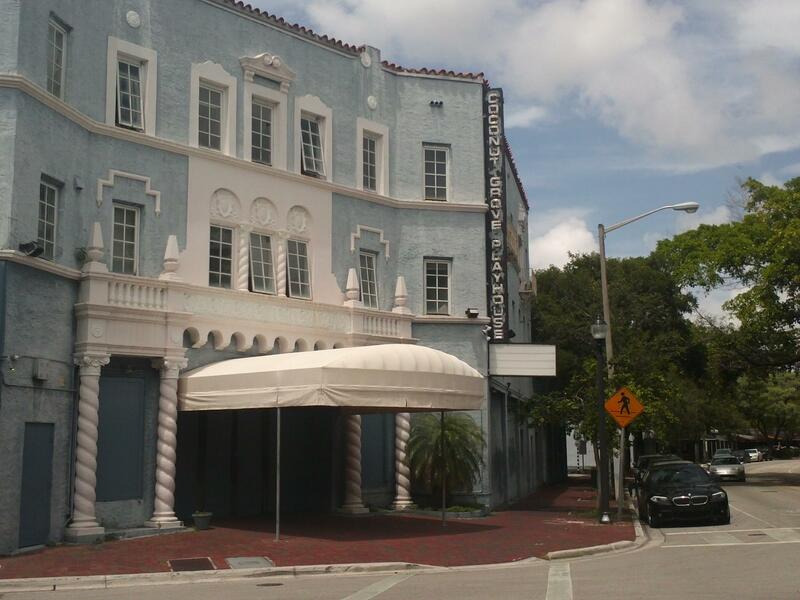 The nonprofit board of the Coconut Grove Playhouse has decided not to try to block the state from coming in and taking back the historic 1926 theater. That means the state could be in charge of the facility by next week. The theater has been closed for six years because of financial problems and there are still unresolved claims against it. However, Miami-Dade County has set aside $20 million designated for the theater and there is a strong possibility the Playhouse could be deeded to the county by the state.